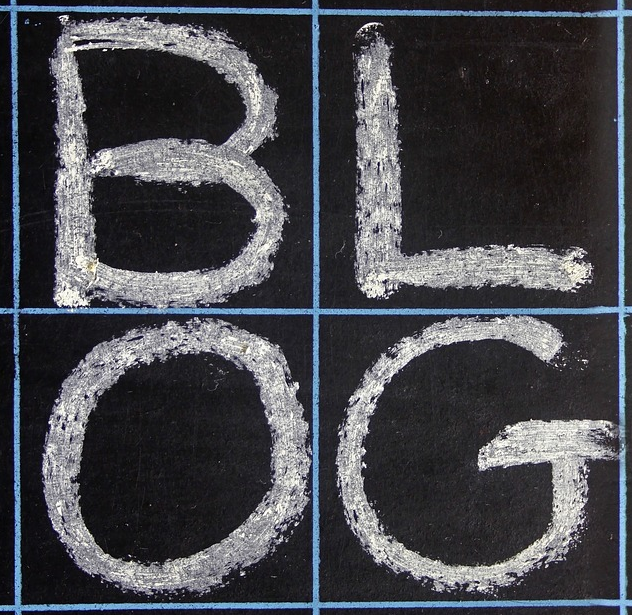 If you are an educator, you need a blog. Where are you creating your digital identity? Where do you share resources with other educators? Where do you reflect on your practice? Where are you having conversations about learning and teaching? Where do you model the learning we want to see in every classroom? How do you demonstrate the Standards of Practice of the profession? Where do you maintain a professional portfolio? Thank you to Dean Shareski (@shareski) for sharing this slide. The image links to the source on slideshare. 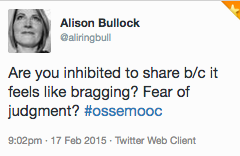 Last evening we had a rich conversation in the #OSSEMOOC open mic around why educators are not blogging. Educators are the hardest working people I know, hands down. No contest. They would NEVER think of not preparing for classes or not providing feedback on student work. Isn’t blogging and sharing and reflecting just as important? How long does it take to share a few thoughts online? How long does it take to upload a file to share? Creating a safe environment for risk-taking is a classroom priority. Why do we make it hard for our colleagues to share their practice? Do our students feel they will be judged when we ask them to share? How do we model to our students that learning and sharing and growing together is a valuable use of our time? 4. It’s not really valued. You are right. It isn’t. At least not yet. Until we teach in the B.Ed. program that open reflective practice and demonstration of the Standards of Practice of the profession is a necessity, we won’t see it. Until we ask to see a blog with every job application, be it teacher, principal or system leader, we won’t value it. Until every PQP and SOQP course makes open sharing, connecting, collaborating, reflecting and learning important, we won’t insist on it. The value in reflecting, sharing, conversing, connecting and honouring our amazing work in schools is obvious. Let’s tell our own stories of the learning happening in our classrooms and schools. The stories are powerful. This inspires me to finish a post I have worked on for a MONTH! With the active social networks we use today, I find it an effort to direct my meditations back to my blog. I still value the process. I’ve finally done it! After months of excuses and procrastinating, I’ve completed my new website and put up my first blog post (rethinklearning.ca). Thanks Donna, for the constant reminders and encouragement through this and the OSSEMOOC blog! As for your post, a few weeks ago I had the opportunity to read applications for a Teacher’s College and what a difference having a blog or some sort of digital footprint would have made in getting to know the applicants on a deeper level. 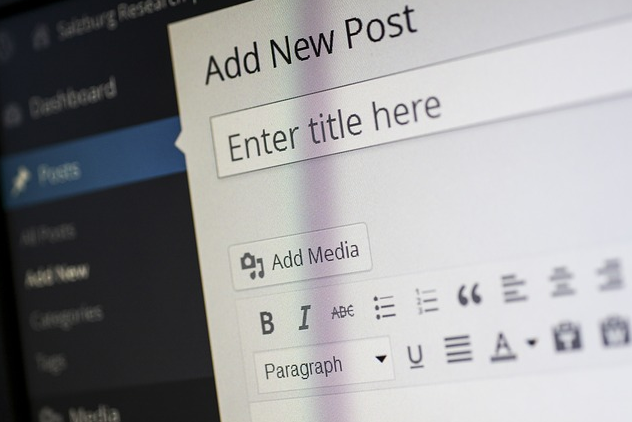 Like having a blog as part of the job application process, it’s something that we need to start pushing for as the status quo is no longer good enough. Marvellous! Thank you for taking the time to give feedback! We all need to know that we are making a difference and your words are so encouraging. I agree. A blog about learning should be a standard for entrance into the teaching profession. If nobody shares, nobody learns. Imagine how we could disrupt the system and move our schools into today’s world if we just did that one little thing! Commander Hadfield is a big believer in how individual action adds up to solving big problems. Thanks for your individual action in sharing your learning here. You made a difference. Donna, thank you for gathering these resources in one place. I passionately believe in blogging, because the act of even writing one paragraph means reflection, learning, and even synthesis. I would love to see a proliferation amongst all educators.